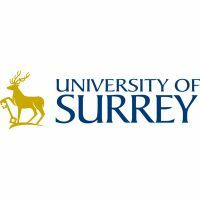 The University of Surrey (USU) was established in 1966 and is an academic institution focussed on delivering world-class research and teaching, and has over fifteen thousand students and four hundred research active members of academic staff. The university operates with a global vision to work in partnership with industry, commerce and clinical professionals, as well as other institutions to the benefit of a global community. Surrey is a research intensive university, and ranks in the top twenty of all UK universities in terms of research income, and has one of the highest rates of participation in European Commission funded projects across the EU and within the UK. There have been >170 EC projects funded at Surrey, worth around €70M in total. For this project Surrey is represented by researchers in the School of Biosciences and Medicine, whose bio-medical research was ranked in the top 5% in the country in the last Research Assessment Exercise. The principles guiding engineering efforts in Synthetic Biology can be very well summarizes by Richard Feynman’s quote ‘What I cannot create, I do not understand’. However, many times unexpected emergent behaviours arise in living cells and we cannot just ignore them. This is particularly bad when trying to implement genetic circuits to carry out a specific function. The synbio lab at Surrey focuses on that problem. We are looking into the economics of cellular resources in bacteria; if we understand how cells decide to allocate their resources, we will be able to design genetic circuits efficiently to perform many different tasks. We also try to take advantage of evolution using combinatorial approaches for tailored functions. We are interested in everything that evolves with special mention to ribozymes, bacteriophages and antibodies. Surrey will lead WP6 tackling the problem of the interplay of synthetic circuits with the cellular chassis. Performance of metabolic programmed strains is highly dependent on the correct allocation of cellular resources. USU will optimise the usage of resources and will develop alternative transcriptional and translational systems to prevent bioplastic production bottlenecks due to arrested growth conditions. Surrey will collaborate with BCM and RWTH for efficient design of genetic circuits. In addition, USU will develop the concept of metabolic insulators in WP3 for engineering of robust optimised network motifs. Dr. Jose Jimenez, lecturer in Synthetic Biology. Dr. Jimenez is a molecular microbiologist that earned his Ph.D. in 2006 working for Spanish Research Council (CIB-CSIC) in genomic and biochemical characterisation of metabolic pathways for removal of pollutants present in environmental bacteria such as P. putida. After that he moved into systems and synthetic biology of bacteria in a postdoctoral stay in the National Center for Biotechnology (CSIC; Spain) where he developed molecular tools for engineering metabolic pathways. 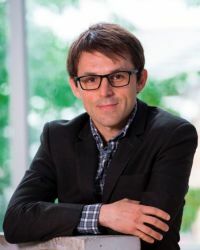 In 2010 he joined the Center for Systems Biology at Harvard University (USA) as a FQEB Fellow to study evolutionary dynamics of microbial and prebiotic systems. 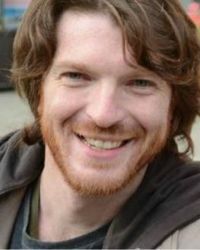 In 2012 he enrolled in the Synthetic Biology Center at MIT (USA) as a postdoctoral associate where he studied mechanisms of cellular competition for gene expression in bacteria. 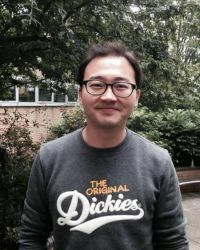 In 2013 he was appointed to an independent lectureship position in the University of Surrey (UK). Dr. Manuel Salvador de Lara, postdoctoral researcher in Synthetic Biology. Dr. Manuel Salvador de Lara is a molecular microbiologist that earned his Ph.D. in 2014 working for the University of Seville (Spain) in the study of the biotechnological production of ectoines in the moderately halophillic bacterium Chromohalobacter salexigens. That study included the study of a potential application of ectoines in Alzheimer disease, the analysis of the role of a transcriptional global regulator in metabolic adaptation during osmotic and thermal stress, and the obtaining and integration of multi-omic data from such conditions. After that he continued his Systems Biology formation by integrating that multi-omic data with a genome based metabolic model of that bacterium. In 2015 he was appointed to a postdoctoral position within the P4SB under the auspices of Dr. Jose Jimenez at USU. The aim of my research at the University of Surrey is to understand inherent constraints of gene expression owing to limitations in cellular resources and to ascertain the optimal allocation of these resources. These studies not only help to build robust genetic circuits, but also allow us to predict the precise expression levels of recombinant genes. I earned a PhD in Molecular Biology from the Universidad Autonoma de Madrid (2014). Prior to that I received a MSc degree from the University of Korea (2008). During my PhD I used the soil bacterium, Pseudomonas putida to investigate mechanisms underpinning gene expression and regulation. I studied the influence of cellular architecture in the flow of information for gene expression. 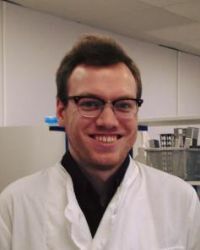 I am a molecular microbiologist who earnt my PhD at the University of Surrey and Animal and Plant Health Agency (APHA) in January 2018. The aim of my PhD was to use transposon sequencing (Tnseq) to identify the novel protective antigens of Mycobacterium bovis BCG for use in a sub-unit vaccine to control bovine tuberculosis. Following this, I joined the Jimenez group at the University of Surrey, using my previous experience with transposon libraries and Tnseq to identify Pseudomonas putida strains with optimised allocation of cellular resources.